Join WISE for their Start with Sports: Mothers and Daughters Sports Day! Don't miss it and sign up to attend today. 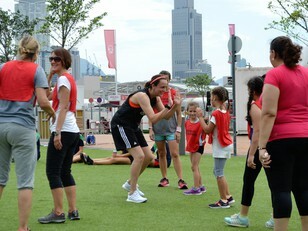 WISE Start with Sports is their flagship Mothers and Daughters Sports Day where they invite Hong Kong-based mothers and daughters to join for some sporting fun. It's a great way to foster stronger mothers and daughters bonds through sports. We look forward to seeing you all very soon.